This year we have enjoyed one of the hottest summers on record and the autumn has been mild so far, but winter is fast approaching so it is time to get your property ready for the cold weather. 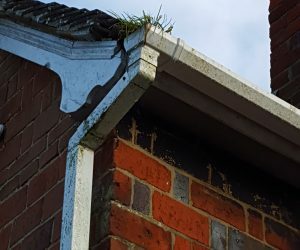 Rain can penetrate your property in a variety of ways, such as through holes in the roof coverings, or overflowing onto brickwork in areas where guttering is leaking. Where damage occurs, the internal plaster can be damaged and rooms can smell damp and musty. It is worth ensuring that your gutters are cleared of leaves and silt accumulations to minimise the risk of water damage. Rising damp is not specifically associated with winter but you may become aware of it in the cooler months when you spend more time indoors. 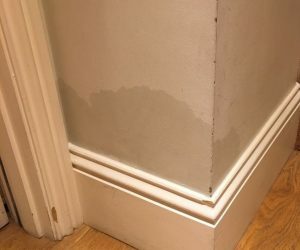 If you notice rising damp in your property it needs to be addressed, as if it left untreated there is a danger to neighbouring timbers, such as floor boards/skirting boards, as well as unsightly damage to plasterwork and decorations. It is recommended that you contact a PCA (Property Care Association) registered company and arrange an appointment with a qualified surveyor. They can then provide you with an effective solution for damp and timber issues. 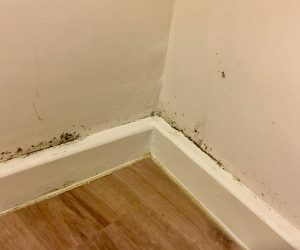 As soon as temperatures start to plummet you may start to notice condensation on windows and unsightly mould appearing on wallpaper and fabric; especially on external walls. Where possible it is worth preventing condensation rather than just rectifying the damage caused by it. Maintaining constant heat throughout the property helps prevent condensation forming on cold surfaces. If you are cooking it is worth using the extractor fan on the hob to prevent moisture entering the atmosphere within the kitchen. If you don’t have fans fitted in your bathroom and kitchen areas it is worth considering this to prevent a build-up of moisture. It is advisable to consider arranging for a qualified surveyor to visit. They can then advise how extract units could help and the best places to have these units installed in your property. 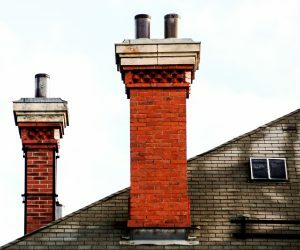 Other general maintenance that may help get your property ready for winter include arranging for your boiler to be serviced and if you have a chimney, arranging for it to be professionally swept.